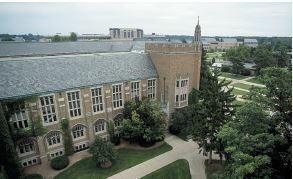 Kresge Law Library's east side. The Kresge Law Library Guide is updated periodically by the Research Services Department. The guide's informative content includes: library services, policies, and physical layout.